With the actual 2012 NHL Entry Draft taking place on June 22nd-23rd in Pittsburgh Pennsylvania, mock draft madness sweeps the hockey universe as the NHL’s regular season and battle to get into the playoffs come to a close. This is not an attempt to rank prospects – rankings will follow similar to preceding years. This is mere a “guesstimate” at what teams might choose if they were to draft today based on weighing out best player available with team need and past experiences at the draft table, with an obvious dose of influence from my personal thoughts. The order used in the first round of the mock draft is based on Stanley Cup odds as used by colleague David O’Connor when he completed his March mock draft to allow one to compare the two directly. Standings and thus team drafting positions will obviously fluctuate on a day-to-day basis from here on end. No trades will be completed during the mock, but may be presented as a desirable option for the respective NHL franchise being discussed. 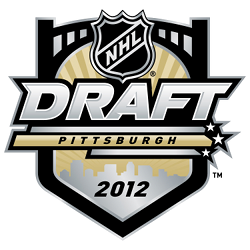 For much more information on the NHL entry draft, be sure to check out our live updated draft home page: 2012 NHL Entry Draft Guide – The Next Ones. Since the majority of mocks only cover the first round and with so many second round picks trading hands on and before the NHL trade deadline, I will conclude the March Madness mock draft edition with part 3 – the second round. The second round comes as NCAA college basketball’s magnificent tournament March Madness comes to a close, even if its officially April. Blue Jackets land the elite of the elite of players in Yakupov, and Subban, with patience, may just be the elite netminder they desparately need. Oilers hope there are two Kings of Goaltending from Sweden. Wilson will be ranked lower in my rankings, but Habs need an injection of size to the forward ranks. Wilson brings grit, physicality, and size; however, the offensive upside is questionable. GM Yzerman will still be looking for answers between the Lightnings pipes, but the future looks set with Vasilevski. I’m not a fan of drafting goalies in the first round, but the elite three goalies in this draft are quickly snapped up here in the second round. Pearson makes his third venture through the draft a charm. Islanders get a mature forward with offensive prowess. The Ducks continue their great drafting and uncover a gem of a forward who, despite his size, is a guy you want to go into battle on the ice with. Di Giuseppe is likely destined for the first round, but the ‘Canes get him as a steal in second. 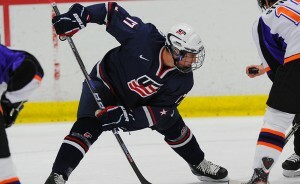 Phillip has impressed in the NCAA ranks and projects as a second line winger. Stevie Y continues to weave his magic off the ice and lands Severson, who is very good two-way blueliner wth projectable size. He’s somewhat unheralded compared with the other defensemen in this d-men deep draft. The Jets hope Sissons skating will improve and allow him to fly in the NHL. Sissons is a goal-scoring winger with great attitude. “Iron” Maidens just seems tailor made to fit a desperate need for the Wild. The budding power forward who can play left wing or center has a NHL calibre shot and patterns his game after Jarome Iginla. He brings a lot of passion to the rink and has a propensity to score big goals. He displays maturity beyond his years, exhibits leadership qualities, and is committed to work on his defensive game. Minnesota just hopes he can stay healthy. Matheson is another two-way blueliner in this season’s outstanding crop of defensemen. He’s a candidate to go in the first round as well. The Sabres snap the smooth skating and physical defender up quickly as he falls to middle of this round. Pokka was an impressive two-way defender for Finland at the World Juniors. Along with Oliver Ekman-Larsson and David Rundblad, the Coyotes defense will have a Scandanavian flare to go along with the dynamic Bostonian Keith Yandle. Ebert has had his game almost over-analyzed over the past few seasons. His most recent campaign has been a tough one for him, but ‘Canes still like his potential. Lindholm has sky-rocketed in several draft rankings this season. He’s an offensive defenseman with fantastic skating ability; his defensive zone coverage is another story. Adam’s older brothers Michael (Kings – 6th round ’09) and Matt (Flames – 1st round in ’05) were both NHL draftees, but Adam may end up being the best of the three. He’s a good-sized, mobile blueliner who can play in all three zones. Kosmachuk may very well be the OHL’s best kept secret. He could be a big time draft day riser. Zharkov is an enticing combination of size (6’3″), speed and goal-scoring ability. Of course, he needs work on his defense and there is the Russian Roulette Factor, but at least he’s already in North America. Lightning ecstatic to land a first round talent in the latter part of the second round. Coda knows goal-scoring. Gordon exhibits really good hockey sense. He’ll need to continue to work on skating. Blackhawks roll the dice on “Boo”. The prep school standout, who is an intriguing combination of speed and offensive creativity, has recently made a relatively reasonable transition to the Indiana Ice of the USHL averaging almost a PPG thus far. Vail goes to Colorado! It just seems appropriate, but the Avalanche don’t draft him becuase of the ski resport of the same name. Vail was already a forward with a very good defensive acumen, but has also displayed his offensive upside this season. He projects to be an excellent third line forward who can chip in offensively at the next level. Blujus is another draft day wildcard. He’s an effective 6’3″ defenseman on both sides of the rink, possessing a heavy point shot. While his hockey sense saves him at this level, he’ll have to work on mobility to be an effective NHL blueliner. The Sharks literally make a smart pick in Brian Hart. One of the draft’s best athletes is off to Harvard to compete in the NCAA next season. Hudon is a diminiutive forward who is a shifty skater and possesses superior puckhandling and offensive skills. GM Yzerman hopes the influence of Marty St. Louis rubs off on Hudon. Red Wings grab the Minnesota native, yet another two-way blueliner in the draft who is somewhat under the radar. Corbett has decent size, is an efficient breakout passer, has leadership qualities and exhibits puck poise. The Penguins drafted Beau Bennett out of the BCHL in the 1st round in 2010 and go back to a tier 2 Canadian junior hockey league. This time they go after centreman Devin Shore, whose biggest assets are his hockey vision and playmaking ability. The son of former NHLer, David, Dominik is a slightly off the board pick, but the Canucks like the potential of the younger Volek. He can play in all situations and there is some upside to his offensive game. The crafty offensive forward was the 1st pick overall in KHL’s 2011 draft mainly because of superior puckhandling ability and a great set of hands. From the Kitchener to New York Rangers; the Big Apple’s version of the Rangers draft Matia for his speed demon skating skills and his potential – not for his lacklustre play this season and the injury plagued campaign that was. Christopher Ralph is THW’s prospect and draft analyst. *Follow @ChrisRalphTHW on Twitter as he infiltrates, dissects & analyses all happenings of hockey prospects & the NHL draft.